Welcome to Denmark, Western Australia - A local's guide to Denmark, WA! Denmark is located on the South West Coast of Western Australia, 414 Kilometres south east of Perth, in the Great Southern Region along the Rainbow Coast. Denmark has natural attractions galore and a mild climate all year round making it the perfect destination. The happy and peaceful locals are very welcoming of visitors creating a wonderfully friendly small-town atmosphere that will having you returning time and time again. It is one of the most historic, stylish and most naturally beautiful destinations in the world. Nature lovers like Denmark for its pristine beaches, world-class walking trails, prolific wildlife, undulating landscape, ancient towering trees and wildflowers. Denmark is one of nature's most beautiful places with an abundance of spectacular scenery, flora and fauna. 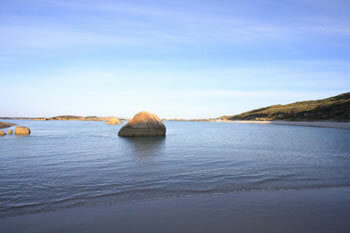 Set amongst rolling hills on tree covered shores on the banks of the Denmark River on the edge of the Southern Ocean. Denmark is 55k west of Albany and 66km east of Walpole. Red Cross Shop, a site for Group Settlement in 1920's. This eco-friendly tidy town is alive with culture and the arts. 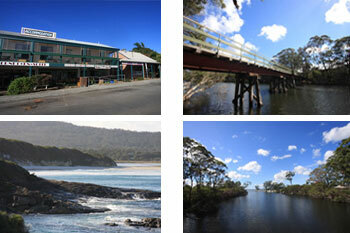 The diverse range of locals make this a colourful and fun place to be. There are festivals held annually including the Festival of Voice, Brave New Works. Denmark Village Theatre stages performances and an annual pantomine. There is a vibrant music scene with many local artists. The popular Denmark Markets, established in 1981, held 4 times a year in Easter, Christmas and January, bring a fabulous selection exquisite local artisans of all types and skills together in a vibrant fun filled atmosphere of music, busking, stage performances, children's activities, food and over 100 stalls offering all types of unique wares. Music, dance, art and theatre are celebrated year round! There are many talented local artists with studios in Denmark, several have open studios at the Old Butter Factory in town. There are also many excellent alternative and complementary holistic practitioners in many modlaities, making this a great retreat for healing or recuperation. The inside of the Old Buttery Factory is beautiful. Artists studios openly viewable makes this a unique experience. The Old Butter Factory is located close to the heart of town. An inspiring selection of quality accommodation of all types is available in and out of Denmark town. Not only is each accommodation beautiful, but the locations are simply sublime. Each Accommodation Provider in our Guide has been hand selected for their uniqueness, quality of service, location, facilities, friendliness, ambiance & aesthetics. The owners of the accommodation featured are 100% committed to providing you with high quality service for your stay in Denmark. Choose from Self Contained, Hosted, Luxury, Farm Stay and Spa & Retreat. You can find most of what you need shopping in Denmark, uncover many unique items that it will make you want to come back, just for the originality of the stores!! You can buy fresh produce, including organic. to mention just a few of the adventure activities available for your leisure. The world famous Bibbulmun Track winds right through the heart of Denmark offering magnificent scenery on a well maintained walking trail with sleeping huts and basic facilities along the way. You can learn to surf and experience the thrill of the ocean. Ocean Beach is a popular surfing beach and the home of South Coast Surfing Lessons and Mike Neunuebel. If you have been lucky enough to learn surfing from Mike then you'll know how amazing he is at what he does! Friendly, passionate, informative and fabulous with children Mike is an accredited instructor in surfing and ocean awareness. There are many walks and trails in and around Denmark. Stroll through ancient forests, wander past still waters, walk along the ocean's edge, hike through the bushland, gaze from cliffs, climb mountains and boulders, play in the park lands, watch for whales and on splash the beaches. The walks are awe inspiring, with so many different scenic backdrops from which to choose. The beaches in Denmark are truly spectacular. From William Bay National Park in the West along the coastline to Lights Beach and Ocean Beach, and proceeding along the Nullaki Peninsula. 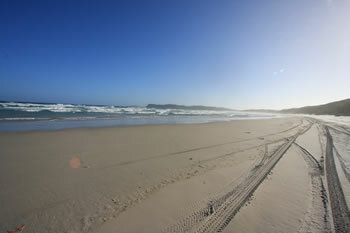 Ocean Beach is set between the Wilson Inlet and the Great Southern Ocean and is Denmark's closest beach. 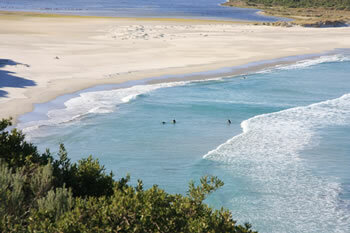 A popular surfing spot with a lookout to watch the action. When you arrive at Lights Beach, head left over the hillside along the trails to get to Princess Pool, an ocean rock-waterfall cascasing onto the beach. Beautiful! It's important to be careful when exploring the coast. Be certain before you enter the water or cross the waterline. In winter especially, large king waves are common. Always watch the ocean and be responsible. 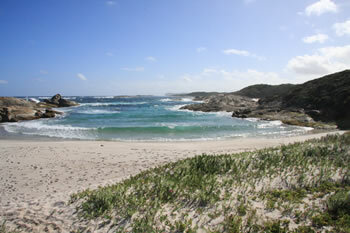 Fifteen kilometers to the west of Denmark is the magical Greens Pool. 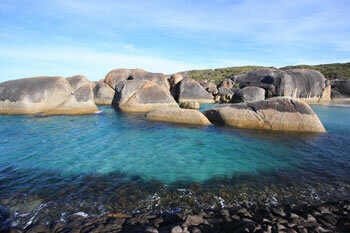 Almost completely sheltered from the waves by the rounded rock boulders, Greens Pool is paradise. The Lookout at the car park is inspiring with a paved walkway heading west along the ridge behind the beach offering spectacular views of the beach and heathland. Mazzoletti Beach stretches from Greens Pool in the East (by foot) to Parry Beach in the West (by car) where it crosses the Parry Inlet at Parry Beach on the far western side of the National Park. a thriving Denmark Wine Region. The Wineries & Estates we have featured offer a range of superb restaurants, picnic areas, delightful gardens, live entertainment, idyllic locations, and of course... wine tasting at their cellar doors! Enjoy wood fired pizza at Denmark's first microbrewery, The Boston Brewery at Willoughby Park Winery. Have a sumptious meal and award winning wine, in a divine location, at The Lake House. Indulge in honey icecream at Bartholomews Meadery, and see the bees at work in a glass hive, which is fascinating for all. The giant elephants stand together facing into the waves of the Great Southern Ocean, t feels as if time has stopped as you gaze out to sea. Reach the beach through a boulder pass. 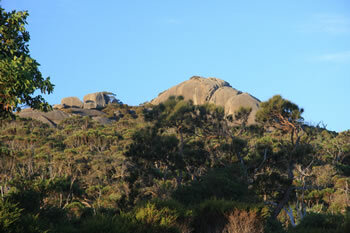 Elephant Cove and the Elephant Rocks are one of our favourite places on the coast. The approach is down a length of stairs and between two of these stone giants, emerging onto the beach at the back of the 'elephants' sitting in the water, gazing out to sea. They say this was a birthing ground for aboriginal women for thousands of years. It is truly a sacred space. 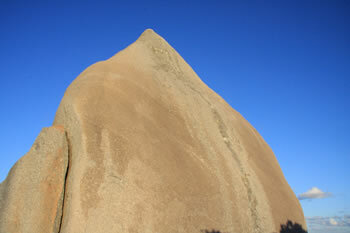 Elephant Cove & Elephant Rocks are in William Bay National Park. 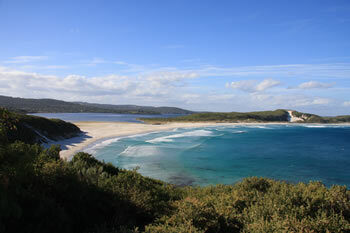 Tower Hill is located a few kilometres north of Greens Pool and Elephant Rocks and Cove which are at the eastern end of the William Bay National Park. 45 minute steady bush climb that is well worth it! Monkey Rock has spectacular views over William Bay Nat. Park, Ratcliffe Bay, Ocean Beach and the Nullaki Peninsula. The 4 km return walk from the car park is quite an climb, so come prepared. 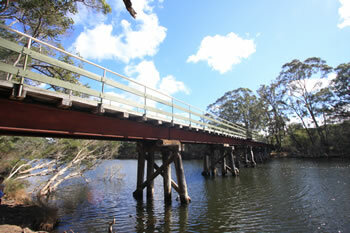 The Bridge is easily accessed from Denmark Town driving south along the river (Hollings Drive) where you will find parking spaces, picnic tables and a gazebo set for tourists. 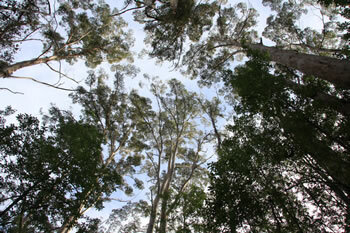 You have the opportunity to walk up and into the tops of the trees on a safe metal walkway suspended high in the air. Suitable for all ages and completely safe, anyone can feel the power of the Giant Tingle trees. You can walk up in the tree tops or stay grounded at the Ancient Empire Walk. There is a visitor information centre, shop, facilities and picnic tables to enjoy an afresco lunch in a beautiful setting. Unique visitor experience. 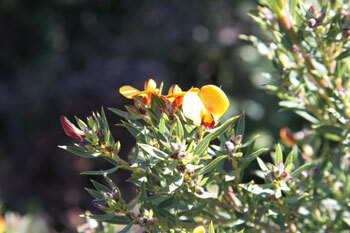 The area is prolific with wildflowers in season (Aug - Dec). Denmark, a region of terrestrial bio diversity. This region of WA is in the top nine terrestrial habitats for terrestrial bio diversity in the world, with a higher proportion of endemic species than other equivalent regions. The wildflowers and fauna are spectacular with many unique species choosing Denmark as their home! Thanks to the offshore Leeuwin Current the area numbers in the top six regions for marine bio diversity, containing the most southerly coral reefs in the world. 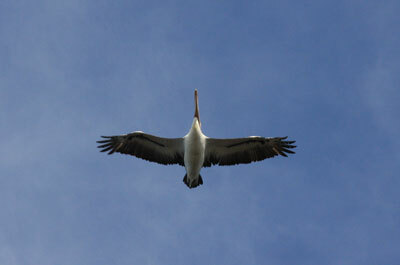 Visit our Flora & Fauna of Denmark page for more. 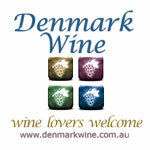 Winery / Vineyard or Local Denmark Business. and news throughout the year!